Happy Holidays From Ramsay & Associates! As we enter the last week of the year, we’re busy working on year end tax projections and wrapping up other projects before the New Year dawns and brings with it the 2014 tax season. We wanted to take a moment and thank all of our clients and the great communities of Mahtomedi and White Bear Lake for their support and patronage during 2013. We’ve had a front row seat for the ups and downs of the economy over the last five or so years, and it’s great to see that things seem to be, at last, turning for the better. There have been a bunch of changes around here over the last year; we spruced up the building, made a slight change to our name and a big change to our website, which is now found at ramsaycpa.com. We have a couple new team members, and are poised to make 2014 even better than 2013, which was pretty great already. From all of us at Ramsay & Associates, have a great holiday and a prosperous New Year. 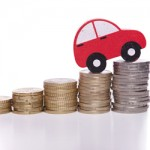 The IRS recently announced the standard mileage rates for 2014. The rates will actually decrease by .5 cents per mile for both business use and medical and moving mileage. The new standard mileage rate for business for 2014 will be 56 cents per mile. The 2014 rate for moving and medical mileage will be 23.5 cents per mile. This is also a good opportunity to remind everyone of the importance of keeping a mileage log. If your mileage deduction ever comes under audit, the IRS will expect to see a log of the miles driven and the purpose for the miles. You can use a simple notepad in your car, or one of a variety of mobile apps to help you log all the miles you drive and make your log easier to complete. For those people who choose to strike out on their own and build a business from the ground up, the business can become a part of who they are and how they define themselves as a person. This has the great advantage of brining their passion and all their energy to the business, but has the unfortunate tendency to result in them micro-managing everything that happens in an ordinary day. For those with the vision to start and build their own business, allowing someone else to manage part, or all, of the daily operations can be exceptionally hard. This article from Inc. Magazine has some great words of wisdom for those looking to lead their business, rather than manage it.